In the week, T wasn't feeling too well with a cough and cold that's going around. 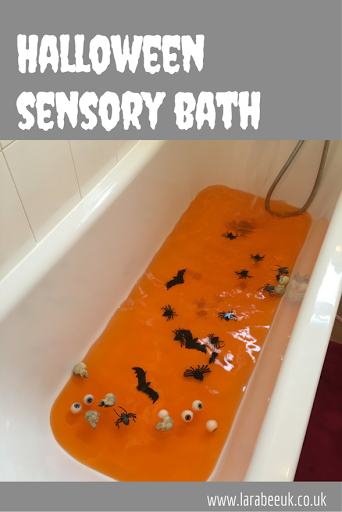 To cheer him up, I thought I'd make him a themed sensory bath, something I've not done for a long time. He absolutely loved it! 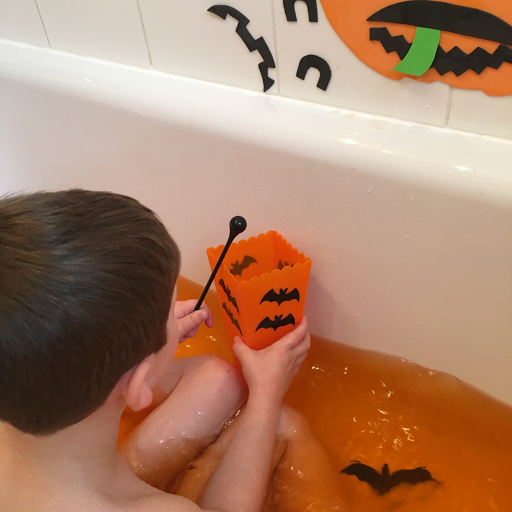 He spent a good 45 minutes in there, mixing potions, casting spells and counting the Halloween items in the bath. 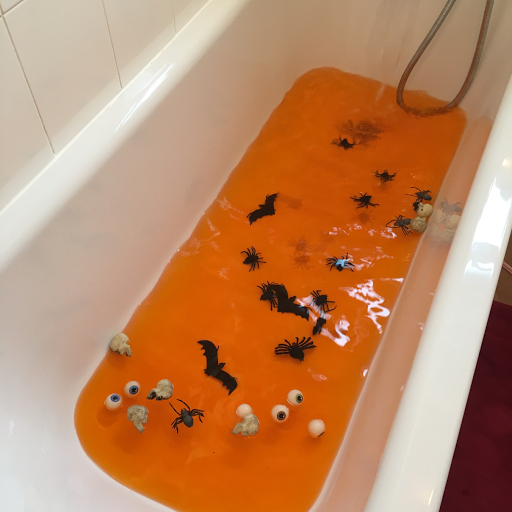 I used our pumpkin bath 'stickers' as an extra visual sensory element for this bath. 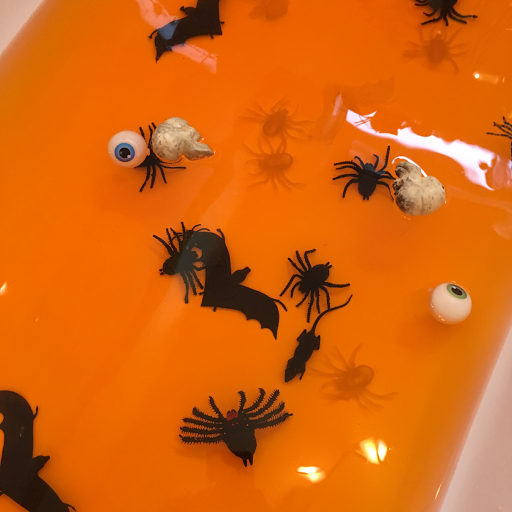 Various Halloween toys eg: bats, rats, spiders, skulls eyeballs - look out in the poundshops! I mixed the food colouring gel in a little boiling water to dissolve before pouring in the bath. We managed this lovely orange colour with about a quarter of a teaspoon. T spent his time casting spells using his 'wand' (black cocktail stirrer) and a Halloween popcorn cup 😂. The orange and clove oils added a lovely aroma to the sensory experience and I'm sure the clove oil and steam from the water helped a little with his congestion. We counted the different Halloween props I used and did some basic addition/subtraction too, which T always enjoys. I thought at nearly 5 that T was over sensory experiences like this, but I was so wrong! He loved it and actually asked for more. The gauntlet has well and truly been set down now for me to pull more out of the bag!